A multi-award winning interactive campaign from The Metropolitan Police. Designed to educate young teenagers about the risks of being charged under Joint Enterprise (playing a role in any serious crime could lead to being charged with the same crime as the main perpetrator). We join a group of youngsters at a party, and are soon deeply involved in the chaos that unfolds as one of the partygoers is fatally stabbed in front of everyone. 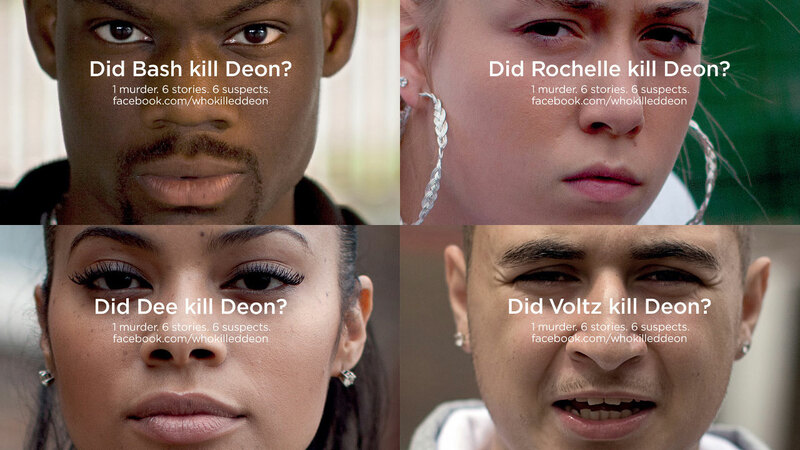 It is not clear exactly who killed Deon and so we, the viewer are invited to choose from six possible ‘suspects’. Each of the six characters stories are told with their own perspective, showing a different connection to the murder. The series was produced in DVD form and distributed throughout London by street teams over December 2010/January 2011. This final ‘cinema version’ of the film, telling the six character stories in one coherent strand, was exhibited in London theaters.